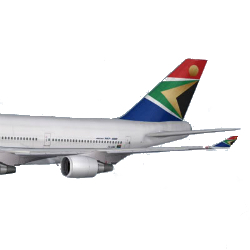 Speaking at a celebration commemorating 20 years of operations in Tanzania, the Regional General Manager for South African Airways (SAA), Aaron Munetsi, announced plans for the airline to introduce direct flights from Johannesburg to Mwanza and Mbeya. According to Mr. Munetsi their operations in the country have been successful in improving tourism and business relations between the two countries. The SAA representative went on to indicate that the choice to expand its operations in Tanzania was strategic and is in line with the airline’s goal of increasing their African footprint. The South African airline, which launched operations in Tanzania with two flights a week, has since carried nearly one million passengers to and from Tanzania and continues planning additional increases to their activities in the East African country.